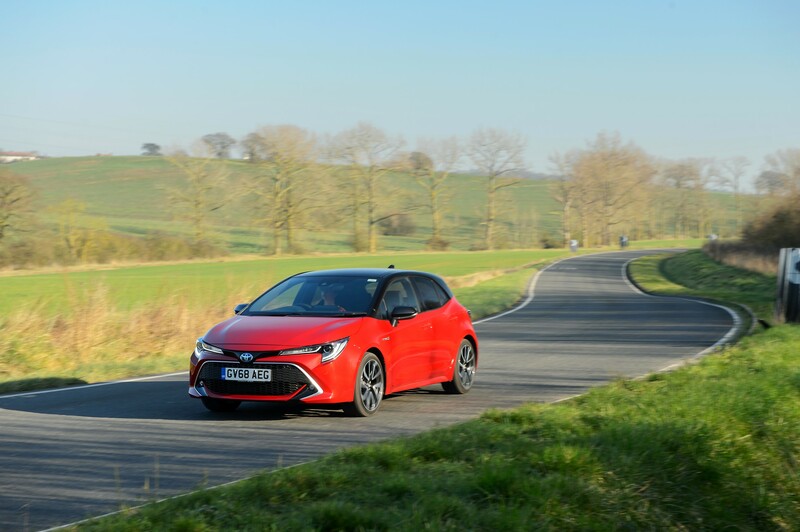 "The Corolla offers all the benefits of a conventional rival, but with lower operating costs and little compromise on driveability." Guess who’s back? Like all good ’90s pop bands, the Toyota Corolla is making a comeback. But this isn’t some one-hit wonder, the new car is a significant improvement over the outgoing Auris. It sits on an all-new platform, offering hatchback, estate and saloon bodystyles. 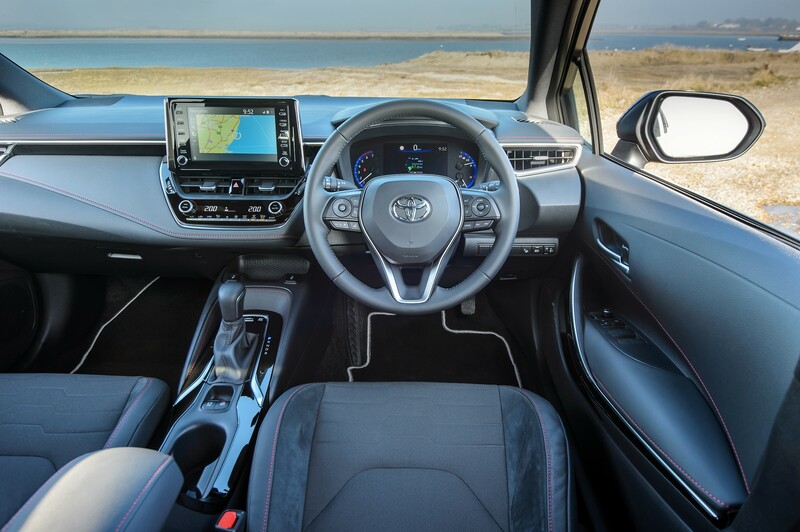 The Corolla’s stylish exterior houses a neatly designed cockpit, which is a refreshing departure from the dated and often messy interiors of old Toyotas. Also, there’s a noticeable step up in quality and driveability, making it a true contender in the C-segment. Three engines are offered. A 1.2-litre turbo petrol powers the entry-level car, while two ‘self-charging’ hybrids are available – a first in the segment. The 1.8-litre hybrid has 120PS and the lowest CO2 emissions in the range of 76g/km. A more powerful 2.0-litre hybrid offers up 180PS, yet still emits just 89g/km. As a fleet proposition, the Corolla is hard to ignore. It packages great refinement and build quality with agile handling and class-leading running costs. It comes at a price, though. The cheapest hybrid has a P11D value of £23,600, – £2,350 more than an equivalent Ford Focus. 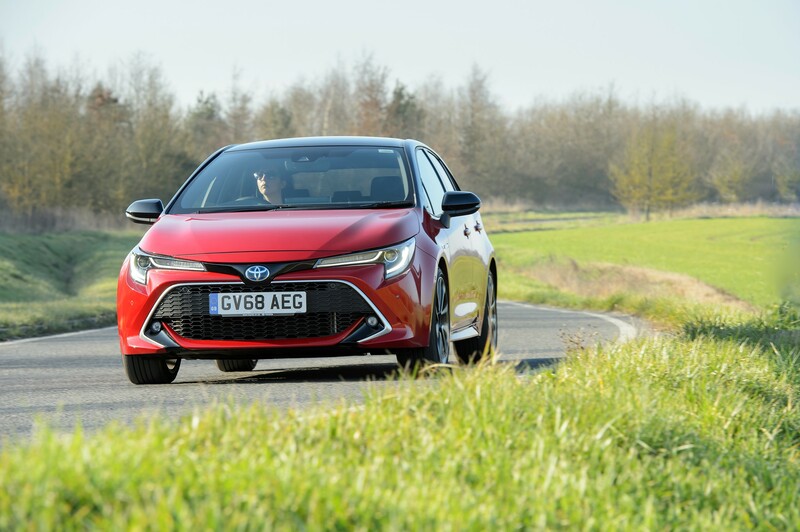 The more powerful version of the Corolla starts at almost £28,000. Toyota says the wholelife costs make it more competitive, due to improved fuel consumption and better residual values. Drivers will also pay less benefit-in-kind tax, thanks to the lower emissions. All versions of the Corolla come well equipped. The entry-level Icon features heated seats, LED headlights and a reversing camera. Icon Tech is the predicted best-seller, adding sat-nav and parking sensors. You have to opt for a Design grade before you can spec the 2.0-litre engine. It comes with rain-sensing wipers, folding door mirrors and rear privacy glass. Range-topping Excel grade features 18-inch alloys, keyless entry and part-leather sports seats. The infotainment system uses an eight-inch touchscreen, which, unfortunately, is the car’s biggest weakness. It has dated graphics and a complex menu system that is difficult to use on the move. There is also no Apple Carplay or Android Auto, so Google Maps and Waze fans will need to revert to using an old-fashioned phone holder. The digital experience is also affected by the instrument cluster, which marries analogue dials and a seven-inch display. The layout isn’t as crisp as the fully digital cockpits offered in rival cars. Improvements to the ride and handling are a welcome addition. While it is not an all-out driver’s car, the Corolla has direct steering, a smooth ride and minimal body roll. Both hybrids come with a CVT, meaning there is the usual high-revving engine drone when you want to accelerate. 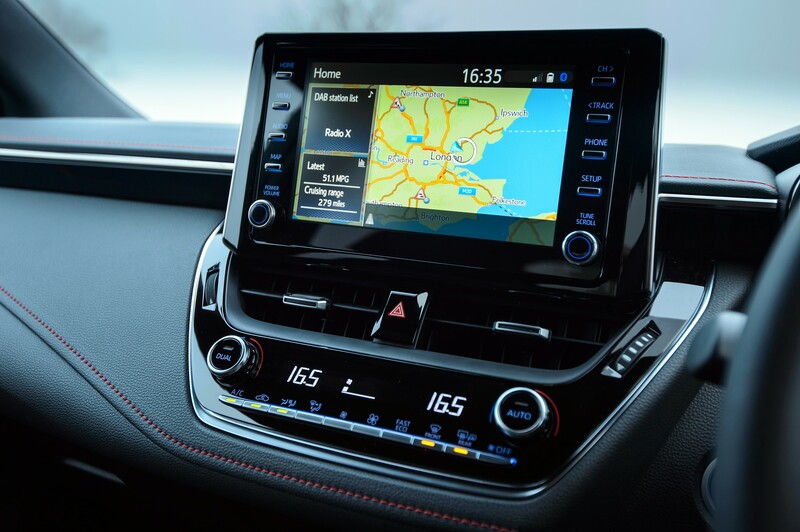 Toyota has worked hard to reduce the effect and most drivers should find it perfectly adequate, but the setup means it will never appeal to those who want a more engaging experience. Fuel consumption, tested under WLTP, is rated at 55-65mpg for the 1.8 and 50-60mpg for the 2.0. This is much higher than you can expect from similarly powered conventional petrol cars. 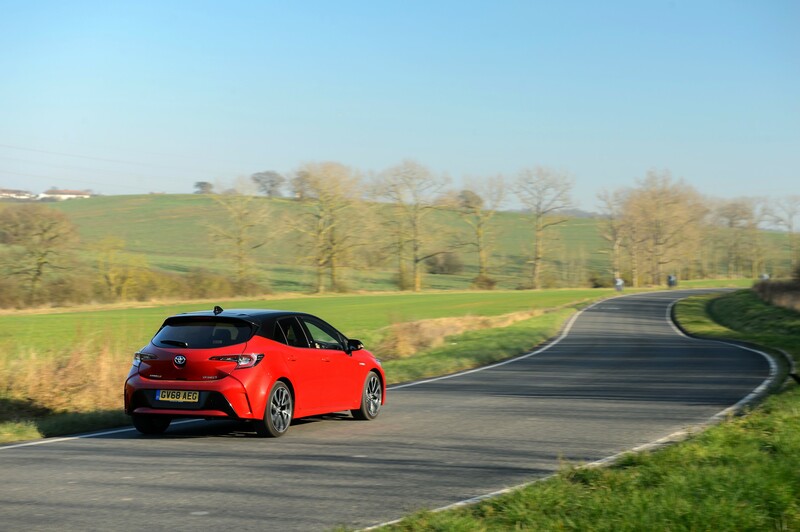 During our test, we averaged around 60mpg on a gentle cruise in the lower-powered car. Toyota says the electric motor powers the car for around half of a typical journey, despite only having a very limited battery range. Both engines offer adequate performance, with the 2.0-litre showing its extra grunt at higher speeds. It can reach 60mph in 7.9 seconds – three seconds faster than the 1.8-litre car. Cabin space is comparable with rival vehicles, although the 2.0-litre car has a smaller boot. The saloon has the most refined ride and comes exclusively with the 1.8-litre hybrid. It’s only expected to achieve around 5% of UK sales, though. 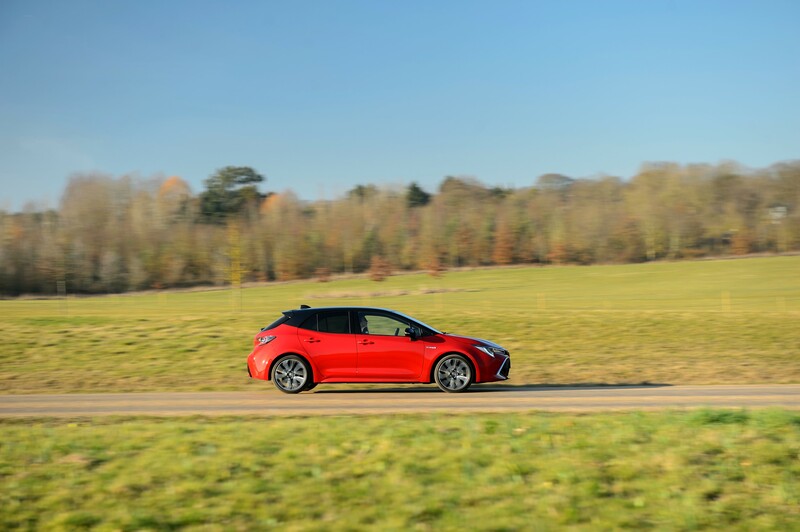 The hatchback is anticipated to be the top seller at 60%. 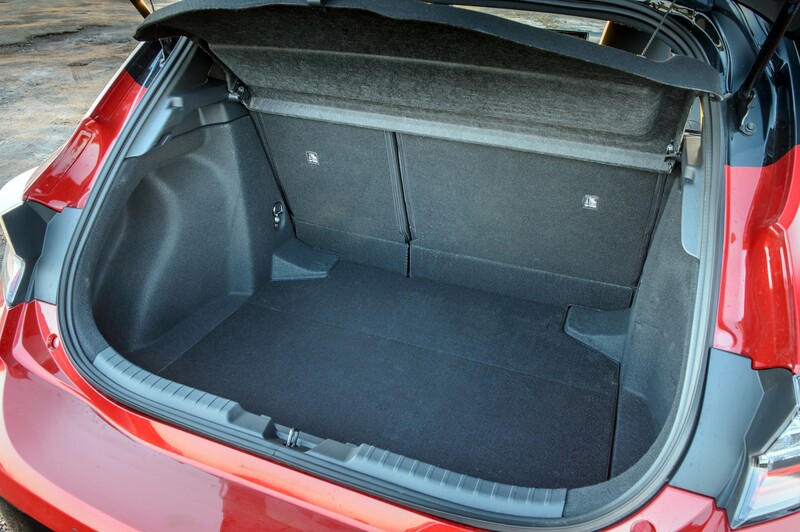 For those that need more space, the Touring Sports – or ‘estate’ – provides almost 600 litres of boot space, which is more than both the Focus estate and Vauxhall Astra Sports Tourer. 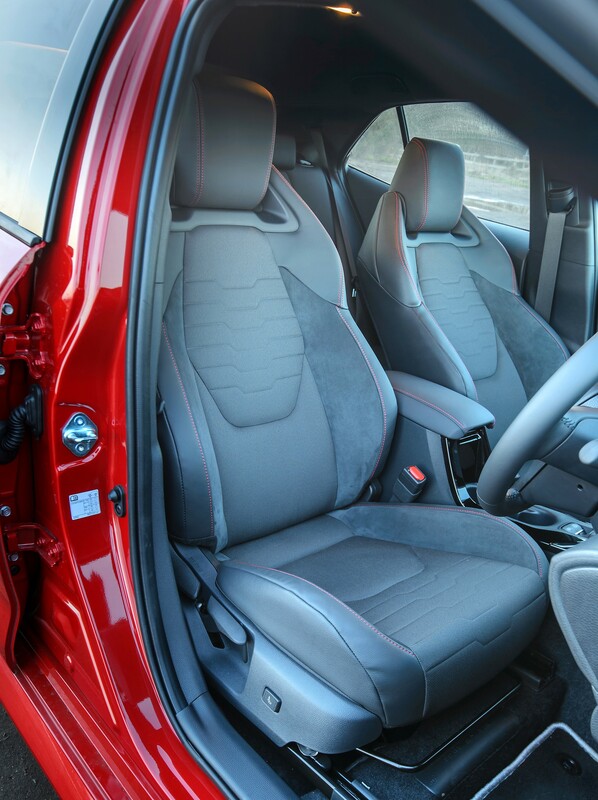 There is additional sound proofing to ensure that road noise intrusion is kept to a minimum. As rising taxation becomes an increasing barrier to company car adoption, the Corolla offers all the benefits of a conventional rival, but with lower operating costs and little compromise on driveability.